Today I’m going to tell you my 14 marketing secrets that are going to help you grow your business. Get ready, these are not in perfect crescendo by any means. This is the Indian Jones version of the marketing class you always wanted in college. So how do we do this? We have to go back to the basics of human psychology. In order to grow your business you need to know how to make your product appeal to human behavior, basic needs, and desires so you can persuade your prospect to buy your product. So here goes the secrets. Hold on tight. Some of these you’ve heard. Some you haven’t. Some you haven’t applied. It sounds crazy, but most people don’t know who their audience is. They may have a vague idea, but can’t exactly write it out or articulate it. Truly, your business needs to revolve around your audience. You cannot start with your offer first. Your audience needs to dictate your offer and your medium, not the other way around. Knowing your audience is going to help your figure out your offer—What is the bleeding neck pain of this demographic that I can create a product to alleviate? This is true of the medium as well— Is my audience more likely to shop online or in retail stores? If you ever get lost in the kudzu of your business, remember to start with your audience and form your offer and medium around the customer. A story doesn’t always have to be the length of a JR Tolkein classic. It can simply be a picture or even a word. Some people may want to know the history of your business and how it came to be. Some people may want to know why you decided to make your product. What bleeding neck pain inspired your product or service? Some people may also be interested in how your product is made. This story can also be called social proof. Really its’s showing the amazing results that your product has given to your customers. An example could be two pictures side by side showing the before and after. If done well, this will make your customers want to use your product. The right medium would include the stories in interchanging fashion. If you take any secret from today, take this one! There’s usually 5 to 7 different reasons customers buy your product. Don’t assume they are buying for the same reasons you would. Maybe some people purchase something because it looks cool, some because someone told them about it, and some wanted to buy something they’ve never tried before. Whatever it may be, you need to identify purchasing behavior and psychologies ASAP. You won’t have any predictability otherwise. If you’re having trouble identifying behaviors, the Maslow Hierarchy of Needs is a great place to start! 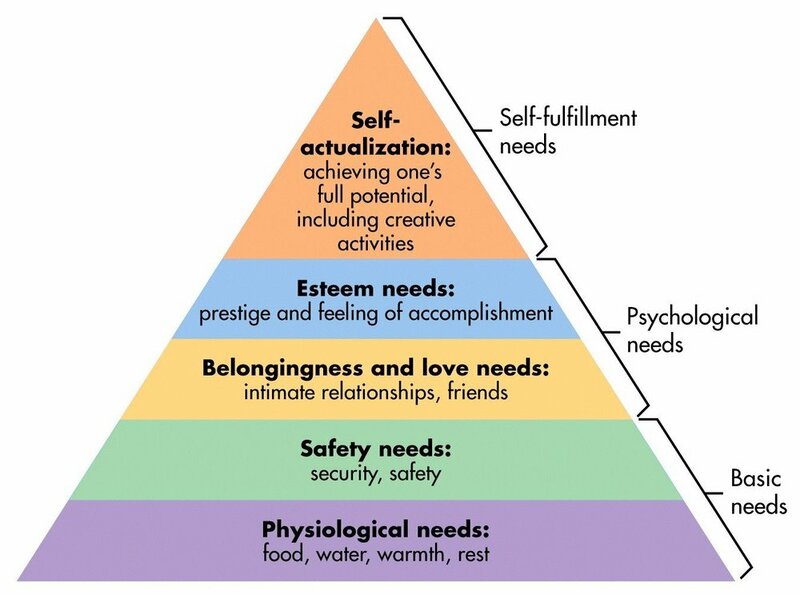 The Maslow’s Hierarchy of needs is an illustration of human needs. This is why restaurants will always be in business because food is the most basic need. What’s interesting is that the higher your the higher the need is that your business addresses in this hierarchy, you become less of a commodity and more of a premium. Think about it; people who are asking the question, “What’s my purpose in life?” and looking for self-actualization are going to pay more for that than a meal. However, know that going up higher in this hierarchy also means less customers. If your product addresses a more complex need it, it doesn’t mean that it’s better than a fast food restaurant. Just scale your business around the need you’re addressing, and I assure you you’ll understand your business more and it will grow. When creating your business or product, don’t go off your own assumptions. Don’t assume that your potential customer feels and behaves the way as you. You do not represent your customer. Again, know your audience and know their bleeding neck pain. What do I have to do to know my customer? You need to have conversations with them. Do some focus groups. And as soon as you feel like you know your customer, be ok with mutating and accommodating new needs and desires. Learning your customer never stops. If you build it they will come is false, false statement. Even if you’ve built the best website, the best blog, you need to market yourself. Even a restaurant in the best location of town still needs advertising! Customers will never show up on their own accord. Attract traffic, build the list, and convert sales. Cold Traffic- People who don’t care about you, your logo, and who don’t know your business at all. Warm Traffic- Potential customers. People who you’ve had a conversation with or maybe they’ve even given you their email address. They’re interested in your offer, but are still considering. No matter what tier of traffic someone is in, your job everyday needs to be to get them further down the sales funnels and one step closer to closing a sale. Everyday, convert cold traffic into warm traffic. Get their email, get them to shake your hand. Also focus on converting warm traffic into hot traffic. Give warm traffic an offer they can’t refuse. This statement should inform your marketing decisions everyday: Micro commitments get people closer to closing sales. 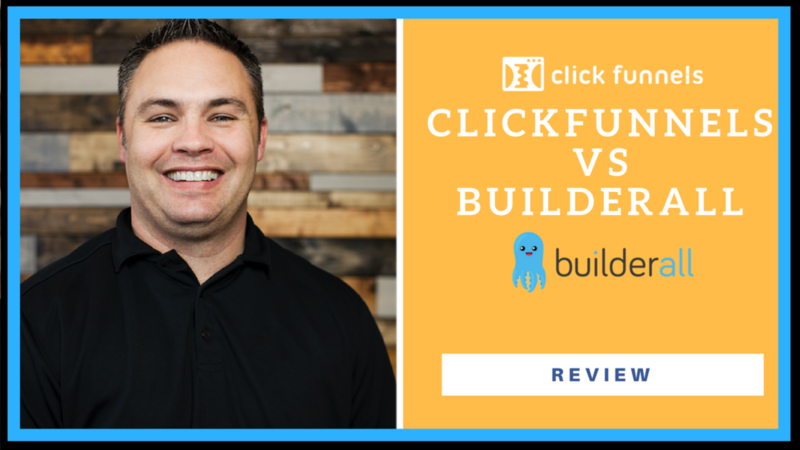 If you need help understanding the differences between sales funnels and websites, check out this recent post Sales Funnels vs. Websites. It will tell you everything you need to know. I stole these next two from Casey Graham, but you need to automate everything you can! You are only you, and you do not have the capacity to do it all. You are going to run out of time. Create email automations, create delivery automations. Automate everything you can. If you’re looking for an email automation service, I myself am a ConvertKit affiliate. ConvertKit to try ConvertKit today. I also just wrote an extensive review post on ConvertKit. Again, from Casey Graham, don’t try to do something before you nail it. Don’t set up an ice cream shop until you have nailed the flavors and their recipes. You need to be the most credible on opening day, because first impressions are really the only ones that matter. And don’t outsource your marketing until you’ve nailed your brand. Ad agencies will always be happy to take your money, but you need to crack the code and make decisions about your business before handing over your marketing efforts. If you cut corners, you’re going to lose momentum, and we all know that losing momentum for entrepreneurs is the death of a thousand paper cuts. This goes back to secret 2, but everyone loves a great success story. Leverage the power of before and after. Have you ever seen those Samsung commercials that passively pick on Apple? The guy with his Samsung phone is walking past the Apple Store and laughing at all the people in line. People love that stuff. Find your villain and only act like it’s you two in the boxing rink. Make them look like a dummy. Why would you ever try to create anything from scratch these days? Absolutely pick on the incumbent, but also recognize what they’re doing right. Find your top two or three competitors and do what they do. Model their business, model their sales funnel. Even if your business is online, you don’t need to create your sales funnel from scratch either. 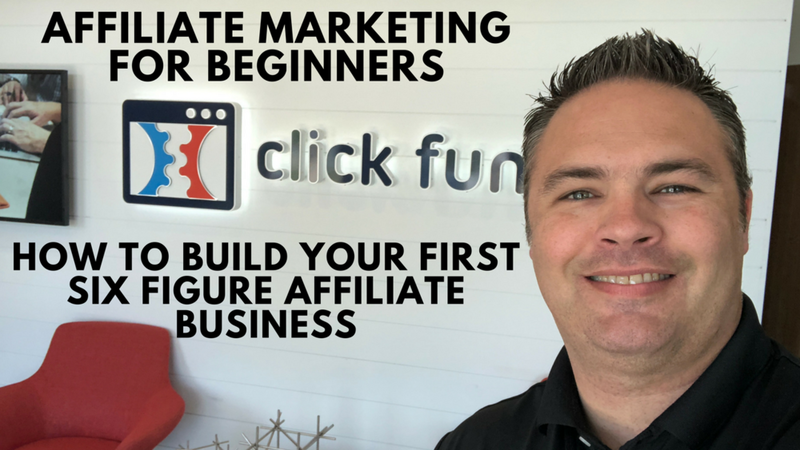 I am Clickfunnels affiliate, which is full of sales funnels templates. Click here to start your 14 day free trial. 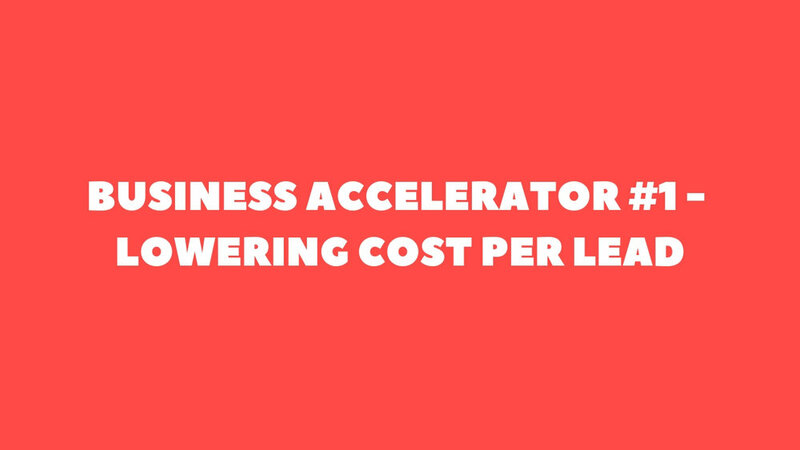 Every business can be energized by this formula. In business, all you need is one skill, one technology and one funnel. What do I mean by this exactly? I was once in a sales funnel for a career coach. Her skill was helping people get their dream job. From this skill, she had designed technology— her own course with information and content people needed to write amazing resumes and nail job interviews. See how that one skill intimately animated a technology? And with her audience of young professionals in mind, she did this all through a webinar funnel. Attract traffic with the one skill, and close the sales with the technology through one funnel. If you want to go to the next level, you need to get coached by someone at the next level. Don’t get a free coach. Because you need to pay to go to the next level; it’s something you need to invest in and not take for granted. Those are my 14 Marketing Secrets. Hope this was helpful. Check out the video for more information and a Q and A portion.